Proposals for a 90,000 sq ft retail-led regeneration scheme in Oldham town centre have secured planning permission. Designed by The Harris Partnership, the plans involve the regeneration of the former Sainsbury’s site on Bloom Street, a derelict plot that has not been occupied since the supermarket giant vacated its store in 2004. 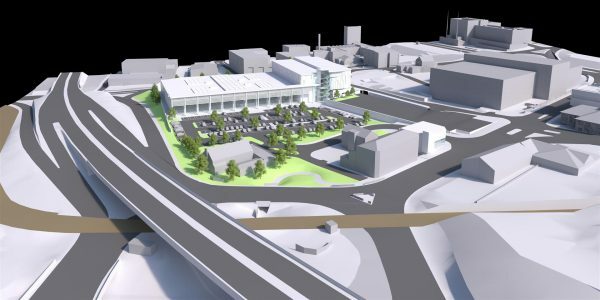 As well as redeveloping the site to provide additional town centre retail facilities, the proposal includes a 12-storey car park, with enhancement to the pedestrian links between the site and surrounding town centre areas as part of a package of landscaping works. Savills obtained consent for the project on behalf of Oldham Property, a joint venture between Oldham Council and Brookhouse Group with the application unanimously supported by councillors at the local authority’s planning committee.